It's not everyday that I find a liquid lipstick that's affordable and actually good. When I do, I just have to share it with you all. Not too long ago I got the opportunity to test out a couple of No7's Matte Liquid Lips and I am absolutely loving them! They come in six gorgeous shades and they all contain such awesome motivational and powerful names. I have the shades Conquer (rich berry), and Courage (plum). Swatches From L-R: Conquer, Courage. 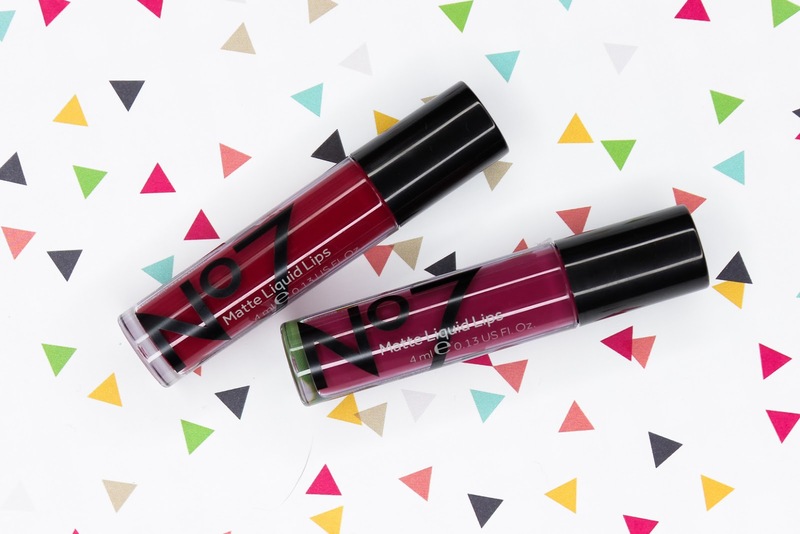 What I really enjoy about No7's Matte Liquid Lips is how comfortable and moisturizing they feel. There is nothing heavy or drying about them, which is a huge plus in my book. These liquid lipsticks are very nicely pigmented and user friendly; one layer yields enough color payoff that's opaque and even. The flat sponge tip applicator totally rocks and makes these lip colors a cinch to apply. It's super flexible, and it truly makes application quick and precise. The Matte Liquid Lips set to a soft, demi-matte finish that flatters the lips and doesn't enhance dryness or imperfections. I don't find these liquid lipsticks to be really transfer-proof, though. I kind of expected this since they are super hydrating and don't completely dry down all they way after application. On the plus side, they do leave behind a pretty stain that lasts throughout the day. 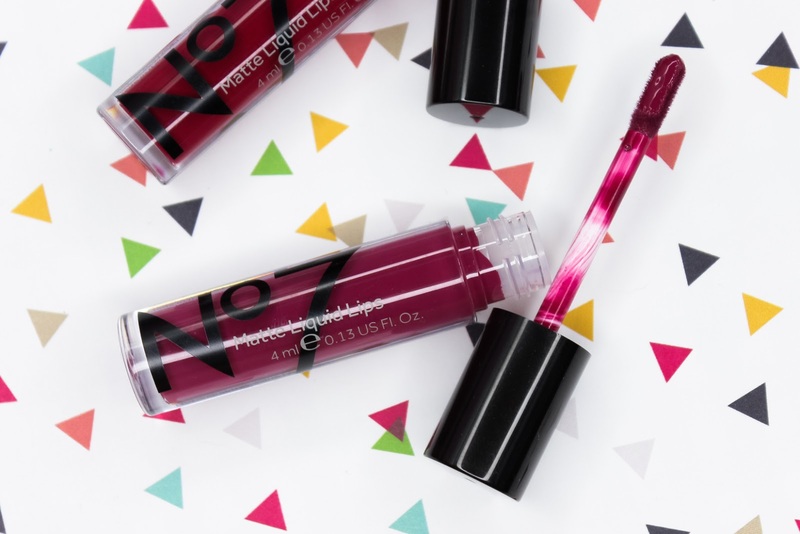 If you are into weightless, moisturizing liquid lipsticks that pack a modest color punch that's perfect for everyday wear, you are probably going to love the No7 Matte Liquid Lips. 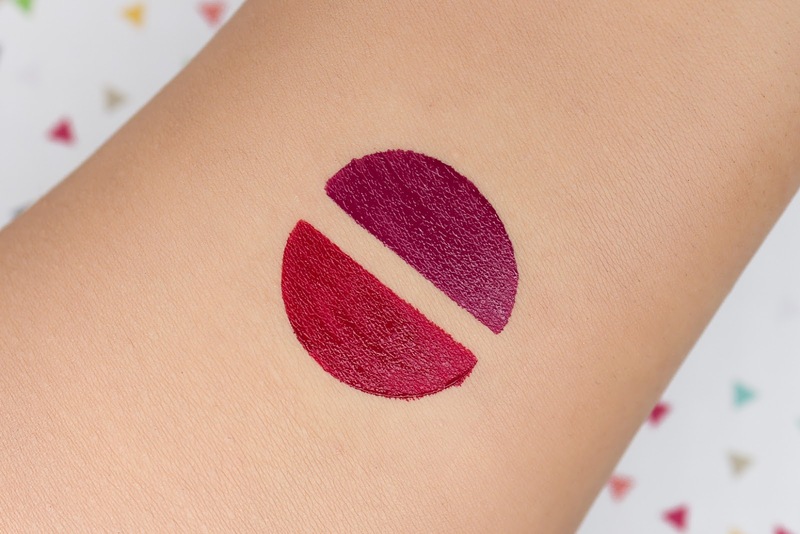 But if you are looking for a liquid lipstick that's super intense and totally budge-proof, these may not be for you. Personally, I really like the No7 Matte Liquid Lips. They are just so easy to wear and these days, I am all about effortlessness and comfort when it comes to my makeup. 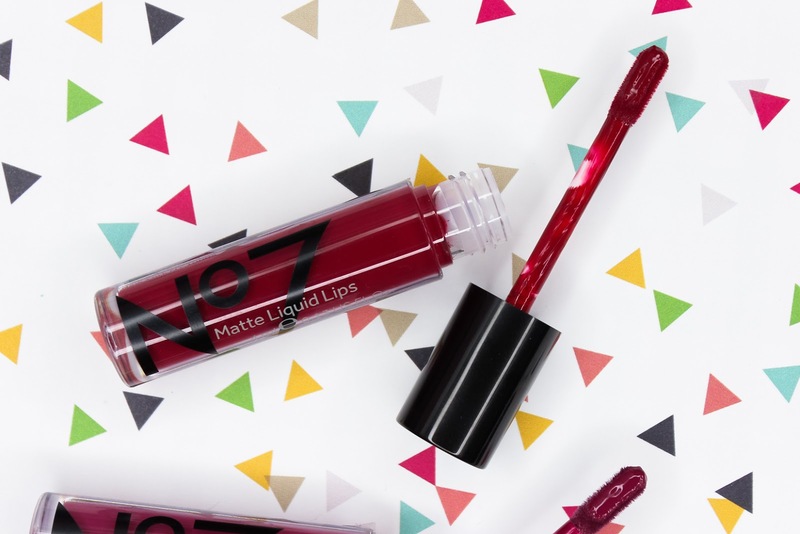 What do you think of No7's Matte Liquid Lips? Which liquid lipsticks are you loving at the moment? Disclaimer: This post contains products provided by PR for review consideration. All thoughts and opinions expressed are my own. For more information, please visit my disclosure page.